Hey there! I'm back with another layout using the Stash Kit I created in October. This layout is very similar in feel and color scheme to a few other layouts I've created with this kit, but it's a look that I love, so I'm okay with that. Recently, we cleaned out my parents place and I found a bunch of old photos. 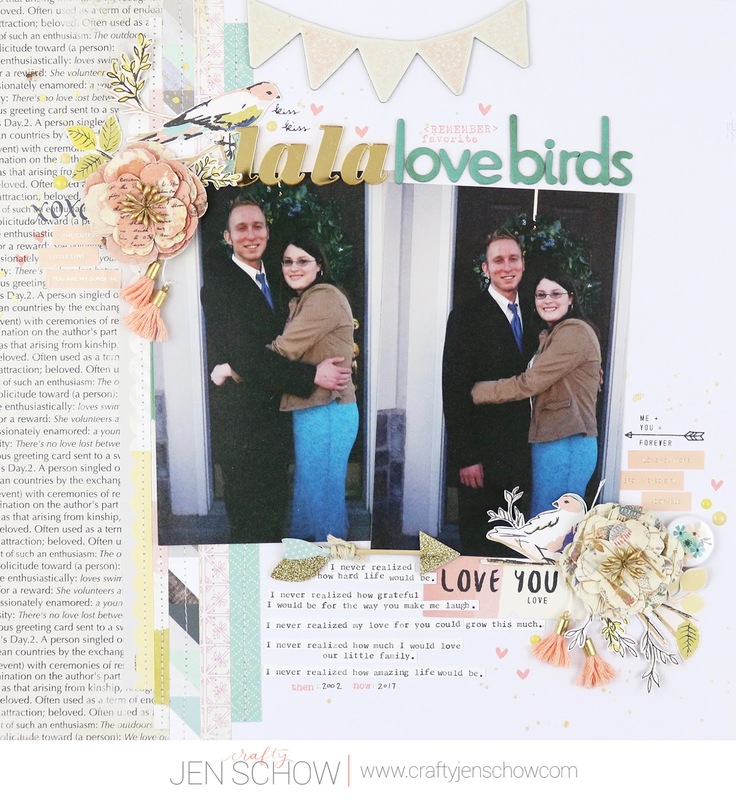 I've been having fun scrapbooking them and pulled a few from me and my husband's dating life for this layout. I wanted to create a layout that reflected back on the things I didn't realize then, but do now. 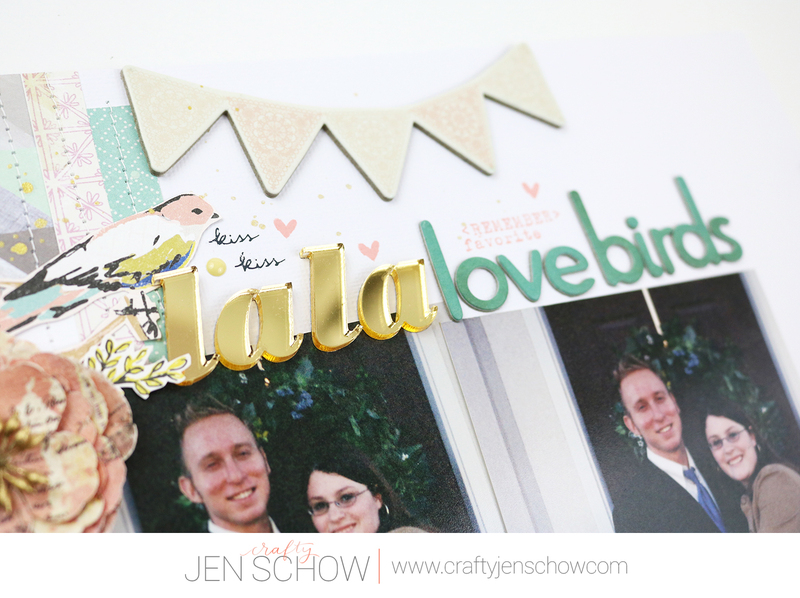 I decided on the title "La La Love Birds" because I thought it would tie in the birds that I love so much from the gorgeous Maggie Holmes paper. I really don't have a ton of patterned paper left and decided to use some smaller strips on the left of the layout and anchor the photos to it. That is a definite go-to for me. 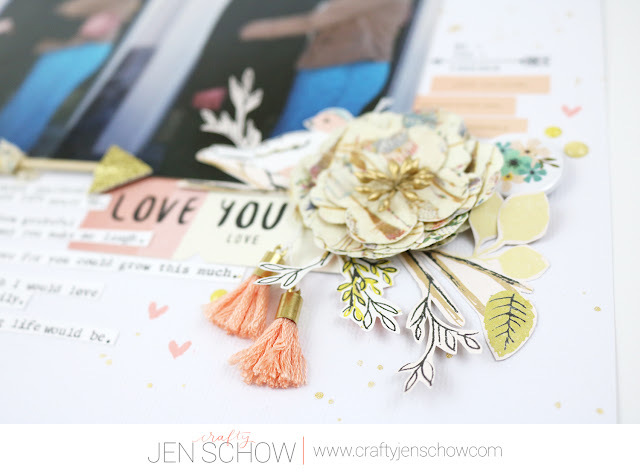 I created clusters of embellishment in the top right and the bottom left, creating a diagonal design, and added a bird, a flower, some tassels, word strips, and leaves to each for repetition. I added some journaling strips to the bottom, some Heidi Swapp Gold Color Shine (because why not?!) and called it done. You can watch the process video below to see how it all came together. 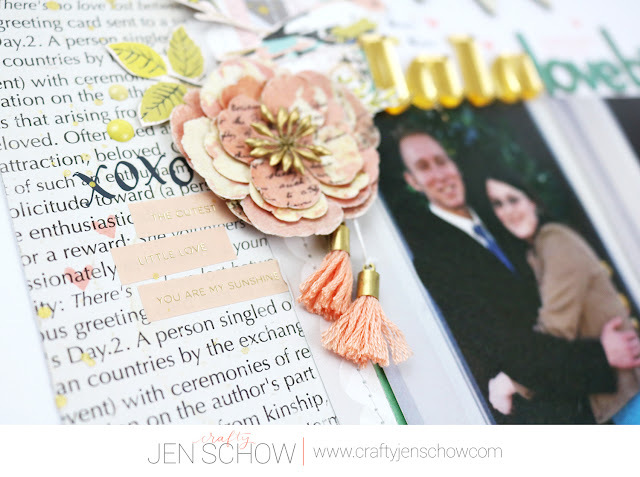 PS - I will be teaching at the first ever ScrapGals retreat in Salt Lake City, Utah on April 28-30, 2017. Registration opens on January 25th and you can find out more details here!